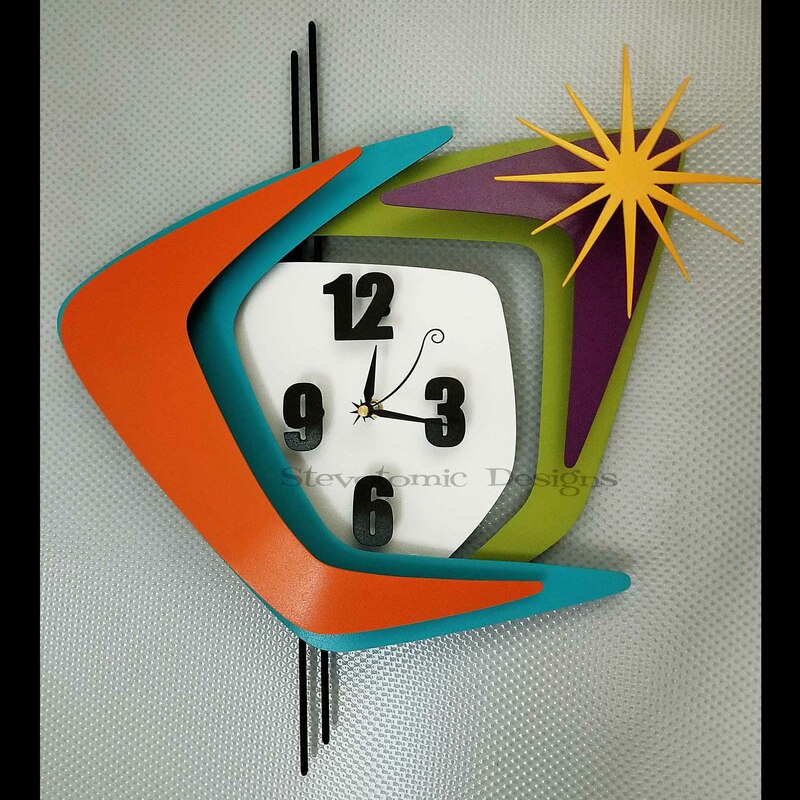 20" x 18" w Dimensional steel clock designed for interior use. Primed, textured and painted. Made to order. Slight variations can occur. Hand selection is according to inventory.